When we are contacted and first see a new client, one of the first questions we ask is how did you find us and how many other builders will you be talking to as part of the selection process? I always say to people that you should talk to no more than 3 builders, if only to test the market and get a feel for pricing, pretty much the same way you would get more than one Real Estate agent to value your house if you were planning to sell. Where possible, go with a renovation builder that someone has recommended to you. That way you will have a first hand account of what the whole process was actually like and whether the company over or under delivered. If you are spending more than $100,000 on a renovation, it should be as pleasurable an experience as possible. Unfortunately, this is not always the case. Ask for the names, numbers and addresses of projects that are currently under construction or have only recently been completed. It is no use talking to someone who built with the company years ago, as anything could have happened or changed in the meantime. If a company is unwilling to provide this information, this should definitely be a red flag. Go with a builder that either employs a number of trades full time and/or works with only a limited number of sub contractors…and ask to speak to one or two of the subbies to get their take on what the company is really like. Choose a builder where the Directors/Owners are hands on. You will always get a better, smoother and more enjoyable experience dealing with the people who own the company, rather than employees on site or commission based salespeople in the first instance. Don’t make price the final determining factor in your selection of a preferred builder. 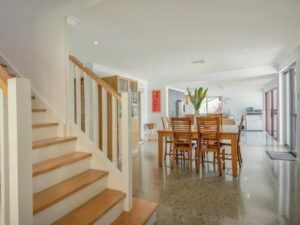 If you are dealing with a reputable and long standing renovation builder, then there should only be thousands of dollars between the various builder’s prices, not tens or hundreds of thousands of dollars. If a quote comes in either way higher or way lower than the average price across several builders, then again that should be a red flag. The builder you choose is going to be a big part of your life for 6 to 12 months or longer, depending on the size of your renovation. …but you must set up and maintain a good working relationship with the company and their team. In short, there will and should be a fair amount of gut reaction in making your final choice of renovation builder. 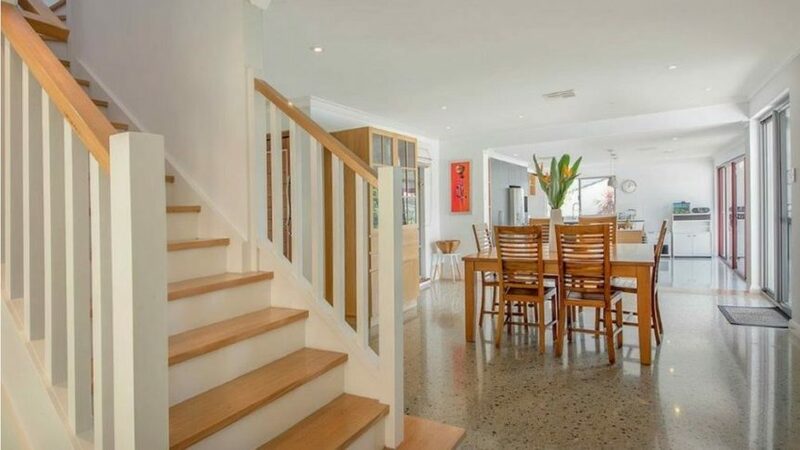 At Green-Shore Builders, we pride ourselves on trying to achieve all of the above criteria and as a result, have a large number of very happy clients that we are currently dealing with or have dealt with in recent times. To read what they have to say about the process and our company, please feel free to visit the Testimonials section of our web site.